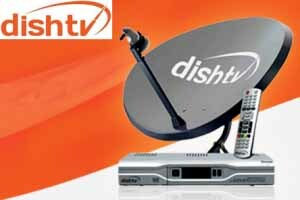 New Delhi : DTH Company, DishTV is gearing up for an aggressive plan during phase 3 of digitisation which will cater to the needs of over 33 million households with the potential to get digitized. The company has announced the launch of its new campaign Dish99, an exciting new package which offers power to create their own pack to customers that are moving to the digital platform. DishTV, in a bid to cater to the specific needs of this audience has created a unique plan that gives user the freedom to choose and make his own monthly pack. With this, he can choose the all-new Dish99 and get access to 125 channels and services in digital quality and also top it up with a choice of custom-made 17 entertainment add-on packs ranging from Rs.25 to Rs.75 and 5 regional add-ons for Rs. 10 each. This product will highlight Dish TV's commitment to provide high quality and exceptional services to its customers and will enable it to be the first choice for every DTH subscriber. DishTV Spokesperson said, “TV viewing is ubiquitous and the most affordable means of entertainment in the country. It has always been our endeavor to provide unparalleled and most innovative services to our customers for a unique TV viewing experience." "Now, with the deadline of phase III of TV digitization coming to a close, we aim to capitalize the huge captive user base which would be switching from analogue cable to digital platform. Dish99 offers the ‘Power to create their own pack’ and ensure seamless services with uninterrupted entertainment at cost effective rates to every household in India,” spokesperson added. “With this product, further, to augment the digitization drive in Phase III, DishTV has introduced a 360 degree multi-media campaign spanning TV (across leading entertainment, sports and news channels), Outdoors, Radio, Digital and website that leverages the power of popular TV celebrities.” Added DishTV Spokesperson.